As you all know, sports is one of my biggest passions and one of the things I most like to do and follow. 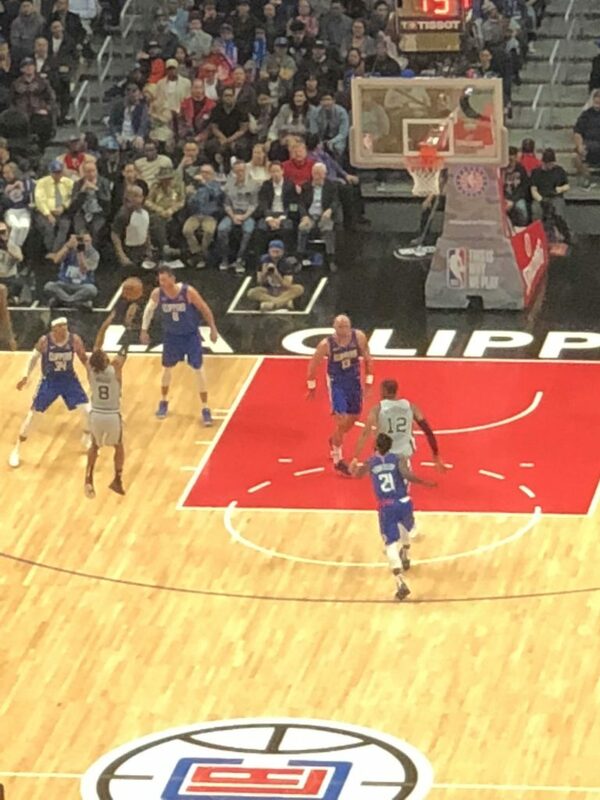 Recently, I went to the Clippers game against the San Antonio Spurs. It was NOT an easy drive getting there. First, we took the car, so it took an incredible amount of time to just get there in Los Angeles traffic. Second, parking was absolutely horrible and we spent a ton of time trying to find a spot. And third, there was a long line to get into the Staples Center. But we finally made it, with only about 5 minutes gone in the first quarter. We had gotten these tickets from my basketball league. They did a drawing out of all the teams in the league, and my team won! So my team got the tickets to the game. Our seats were waaaaay up high but we got to go to the game to meet my teammates so I can’t complain about that. 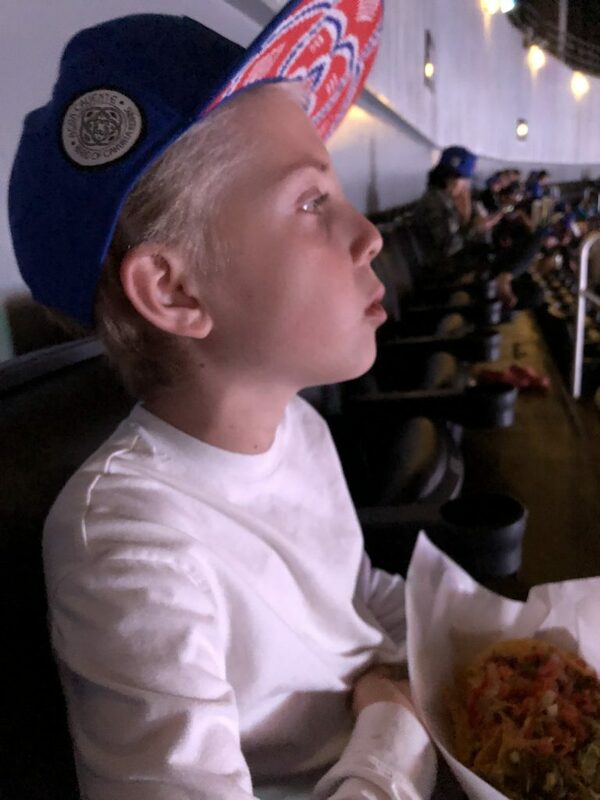 Of course, at a game you need to have food. So, at about halftime we went to go to the food stand and check out what they had. They had a snack called the Sweet Potato Fajitas and it was basically Fajitas, except that they had chips underneath, not tortillas. I think the food stand had decided to save money on the tortillas and instead bought up bags of chips. Whatever the reason, the food was SO GOOD. It was exactly what I needed after all that sitting in the car. The Fajitas were super spicy but the sweetness of the roasted sweet potatoes balanced the meal out. Plus the guacamole was a major factor in the taste and texture of the dish. These fajitas also had salsa and hot peppers. 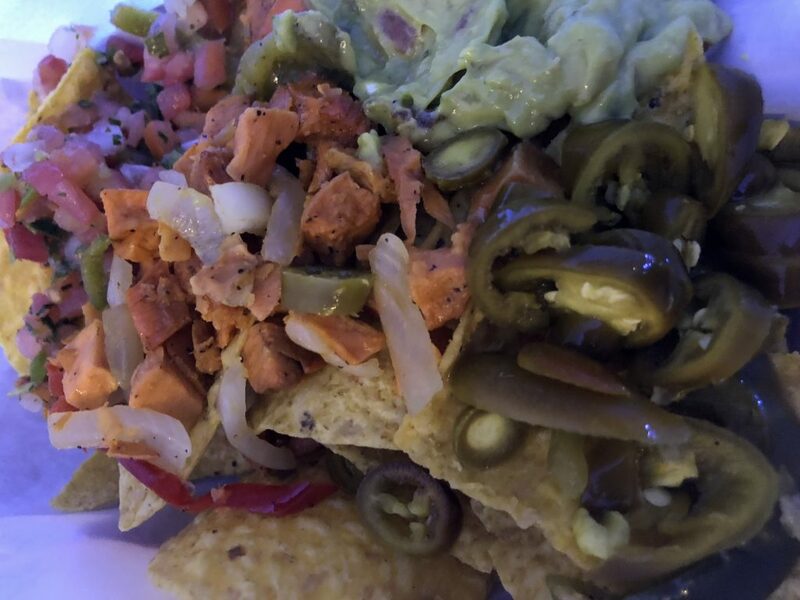 I was surprised about the quality of food at Staples center because usually at sports arenas there isn’t much effort put into the dish and there isn’t much to choose from if you are gluten free. The food fueled me up for a game that wound up being a close one. It was tied 107 to 107 with about 55 seconds left to go. Lou Williams had the ball about 30 feet away with 7 seconds left on the shot clock. He pump-faked, stepped back, double clutched and then knocked down an incredible clutch three. 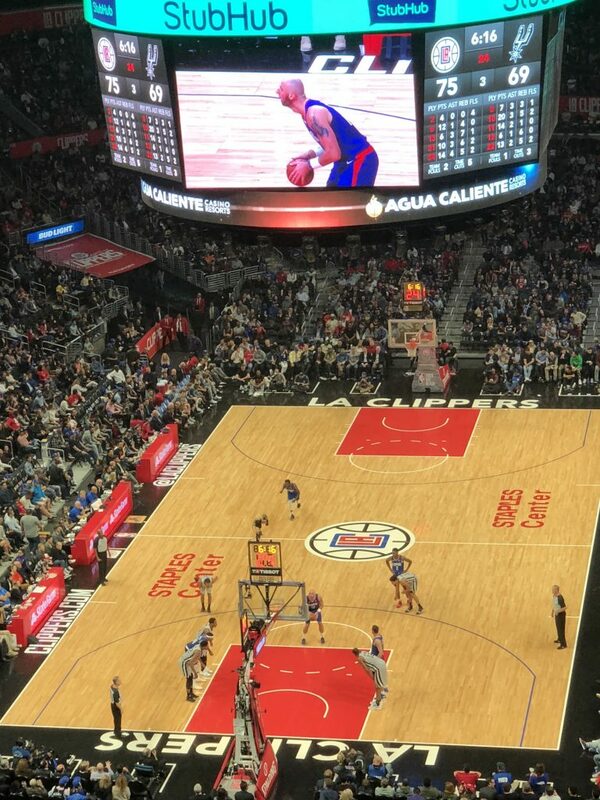 Then Patty Mills dribbled up, missed a game-tying three, then Tobias Harris got the rebound and then the Clippers made a bunch of free throws to seal the deal at the end of the game. Final score: Clippers 116, and the Spurs 111. It was fun to go and it was really cool to see my mom getting into it at the end! She was literally BITING HER NAILS. Not kidding. She even snapped this cool photo of one of the guys literally in the air! 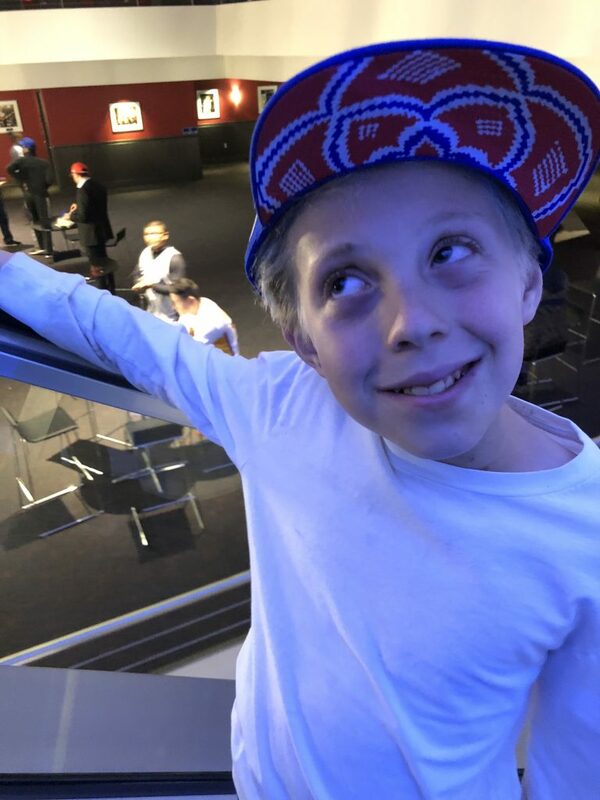 So if you are a big sports fan or a big food fan, or both, make sure to go to Stapes Center for a Lakers, Clippers , or a Kings game, or even a concert and check out the food there. Also, if you live a considerable distance away I highly recommend taking the Metro so you are able to avoid the parking extravaganza and skip a bunch of red lights. Also, you need to leave really early! And finally, HAVE FUN. We’re talking basketball and fajitas. Nothing bad about that! It really was a win-win for you all! The pictures made me add, “Eat Mexican food” on my list of To Do Things for the weekend! Yum! I have eating mexican food on my list of things to do almost every day ha ha!